Every town has those places you just have to visit. The local folk would tell you not to leave without seeing certain spots. This page of Things To Do In Santa Cruz gives information on a few of the places in Santa Cruz that have earned this reputation. As you plan an afternoon or an extended stay, do make an effort to visit one or more of these attractions. You’re sure to be pleased. 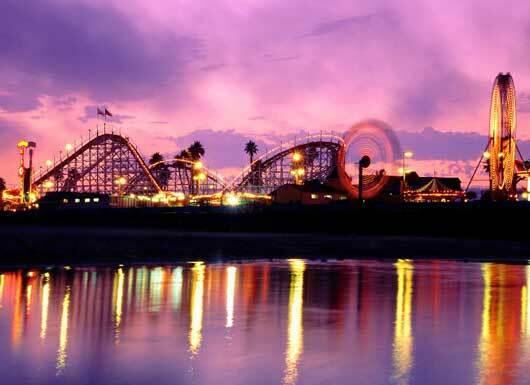 The Santa Cruz Beach Boardwalk is the only major seaside amusement park on the Pacific Coast. This nostalgic spot is sure to be a hit no matter your age! Play games and get your fortune told in the traditional- style arcade, bump along in the bumper cars, and satisfy your sweet tooth with a helping of saltwater taffy. If you’ve brought the children along (or even if you haven’t), enjoy a ride on the carousel. The kids are sure to enjoy Neptune’s Kingdom where they can play 18 holes of pirate miniature golf, air hockey, fosse ball, ping pong, and more. Located just steps away from Santa Cruz Beach, the Boardwalk can be all or part of an amazing day of fun. Open every day from Memorial Day through Labor Day, and on the weekends from fall to spring. Tickets can be purchased for individual rides, in 50 ticket strips, or unlimited ride wristbands. Pricing varies by season, and there are often discounts available. For more information, see www.beachboardwalk.com or call directly at (831) 423- 5590. Surfing enthusiasts will not want to miss the Santa Cruz Surfing Museum. Showcasing over 100 years of Santa Cruz surfing memorabilia, this was the first surfing museum in the world. 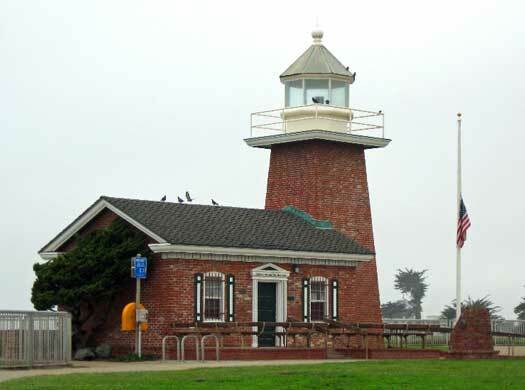 Visitors will enjoy walking into the Mark Abbott Memorial Lighthouse, which houses the museum, and touring the exhibits that also overlook Steamer Lane, an internationally famous surfing spot. Examples of items on display include surfboards from primitive to modern models, photographs of Santa Cruz surfers from the 1930s to today, and videos continuously boasting the ever changing styles of surfers. At the gift shop on site, you can purchase clothing, books, posters, and more. Location: Mark Abbott Memorial Lighthouse, Lighthouse Point, 701 West Cliff Drive. The arboretum on the campus of the University of California, Santa Cruz is home to four decades of horticultural expertise. It is truly a world-class living collection, housing flora from California, Australia, South Africa, New Zealand, and Chile. 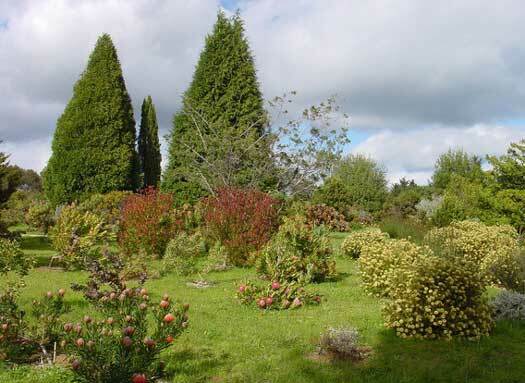 Whether you have half an hour or all day, the arboretum offers a peaceful spot to meander about the gardens. 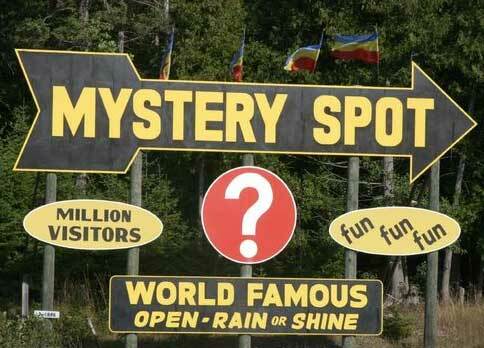 Located in the redwood forest just outside Santa Cruz, mystery spot will surely be a mystery to you. This circular area of about 150 feet in diameter is a gravitational anomaly in which your conceived notions of the laws of physics and gravity will be questioned. A place where birds fly in and right back out, squirrels jump and miss the branch, and airplanes flying over have gauges going berserk. Curious? You should be, and you’ll likely not be disappointed. The Santa Cruz Wharf offers recreation, shopping, and dining in one stop. Go whale watching, take a fishing trip, enjoy a kayaking expedition. 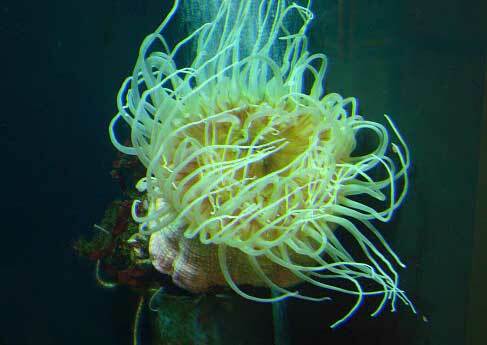 Visit the Monterey Bay National Marine Sanctuary to see all sorts of critters and creatures. Shop for arts and crafts, beach gear, and more, then top it off with seaside dining. There is no charge to enter, and parking fees can be paid upon leaving the wharf. Are you seeking a quiet, rather upscale way to spend the day? 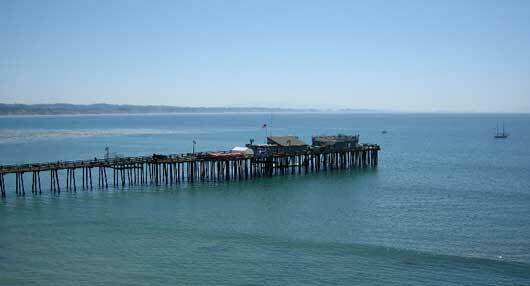 The city of Capitola is an intimate beach village in the river valley on Monterey Bay. 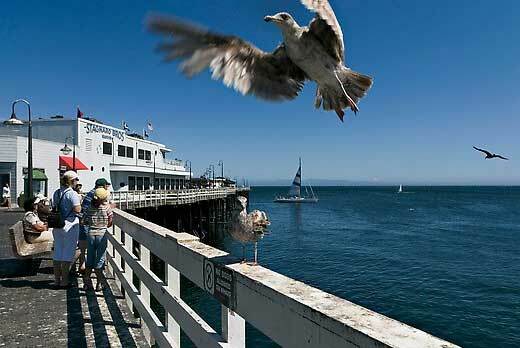 Named the oldest seaside resort on the Pacific coast, Capitola is known for old-world charm. Visit the many restaurants, Victorian homes, old railroad depot, stylish tourist shops, and art galleries. At the entry to the pier, you’ll find Venetian Court, a pastel 1920s condominium-type area with beautifully ornate architecture. If you enjoy a bit of fishing, you can choose from pier, shore, or boat angling. Boats are available for rent at the pier. 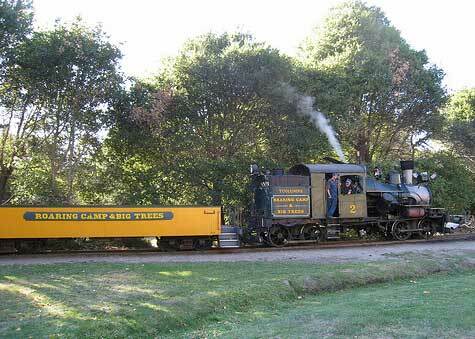 Roaring Camp Railroad first carried visitors to see the famous redwood trees and beach in 1875. Follow along the rails of tradition with a trip on the train! Referred to as the Beach Train,this round trip excursion travels along San Lorenzo River, over a 1909 steel truss bridge, though an 1875 tunnel, and down city streets to the boardwalk of Santa Cruz. Choose from a variety of trains and routes, or visit their site to select a special event weekend. Open from 10 to 5 daily; ticket pricing varies, $8/car to park. Visit http://www.roaringcamp.com/ for event schedules and pricing. Have you ever touched a shark? Would you like to see the world’s largest whale skeleton? Stop in at the Seymour Marine Discovery Center, a division of the Long Marine Lab at the University of California, Santa Cruz. Here you can visit a working marine laboratory, exhibit halls, aquarium, touch tanks, hold a sea star, and think like a scientist! Open Tuesday-Saturday, 10 AM to 5 PM; Sunday, noon to 5 PM. Admission for adults is $6, children ages 4-16 is $4, and senior adults 64 and older is $4. Children three and under admitted free of charge. Visit http://seymourcenter.ucsc.edu/visitor_information.html for tour times and directions.